1.) There are two choices for cards below. The come in the zip file cards with writing or cards without writing set. 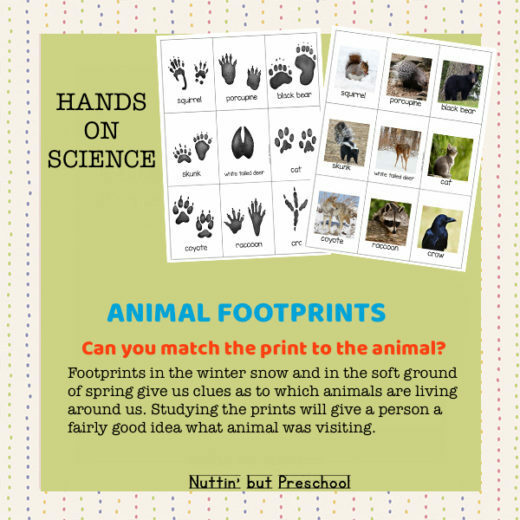 The cards are full scale and in printable size. 2.) Print the cards on regular computer paper, cardstock or photography paper is best. You will receive both sets of cards. 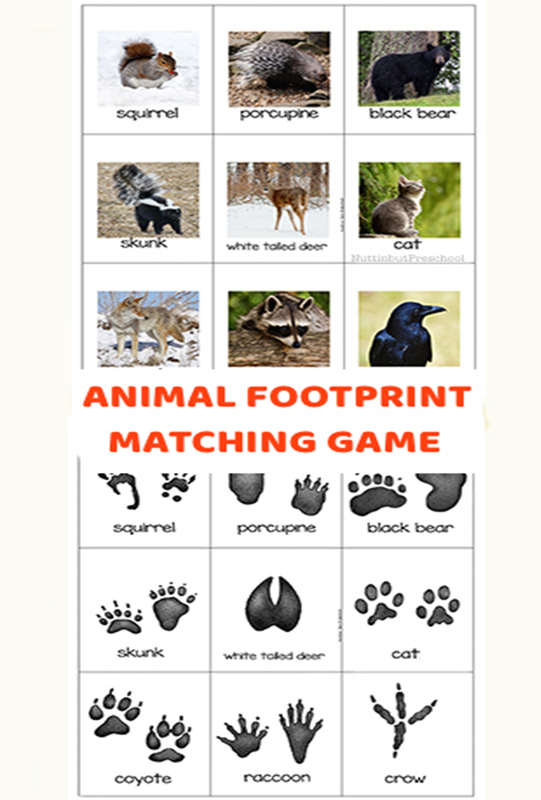 For another twist purchase the 9 animal footprints matching wall card and have the children study them and match the animals to their footprints.